Your guide will pick you up from your hotel early in the morning after your breakfast. You will then head to Nairobi National Park in search of lion, leopard, buffalo, rhino, jackal, and many other animals. The van is open roofed that will show you spectacular views. The driver and guide will introduce himself and offer free overview to the tour ahead. After 40 minutes you are at the main entrance gate. You can spot the playful monkeys near the gate. After gate clearance you have 4 hours of game drive. Have your camera ready for those wonderful captures. The roof is opened and you are able to spot animals from far while standing. The driver will later drop you off at your hotel. A short drive out of Nairobi’s central business district is the Nairobi National Park. 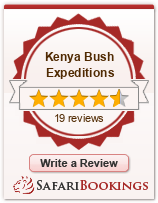 Our driver will pick you from your Nairobi hotel early in the morning for this exciting tour. Wide open grass plains and backdrop of the city scrapers, scattered acacia bush play host to a wide variety of wildlife including the endangered black rhino, lions, leopards, cheetahs, hyenas, buffaloes, giraffes and diverse birdlife with over 400 species recorded. The van is open roof for that spectacular view. Our driver has many years of experience at Nairobi national park and will help to spot the big lions quickly. After 4 hours of game drives, we safely drive you to your hotel or international airport.